Ridge Runner Blue Two-Tone Pocket Knife | BUDK.com - Knives & Swords At The Lowest Prices! 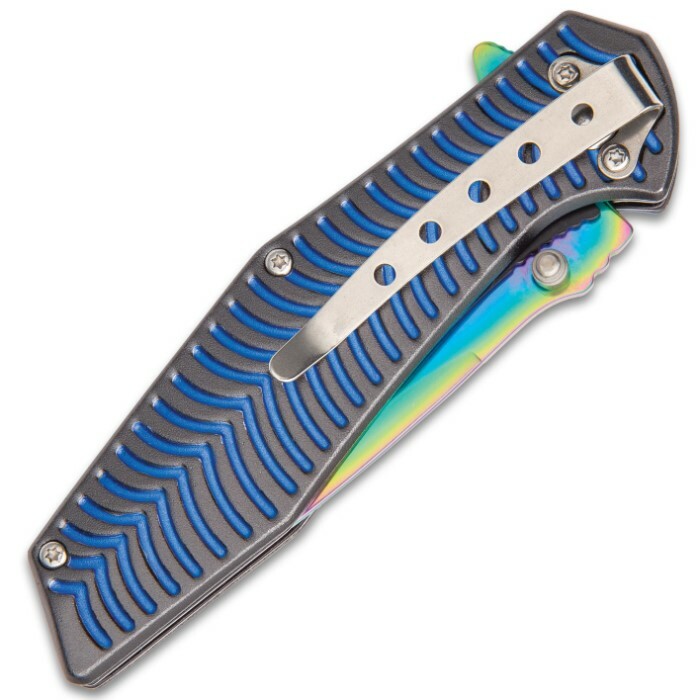 The Ridge Runner Blue Two-Tone Pocket Knife is a fantastically exotic pocket knife that will get second and third looks. 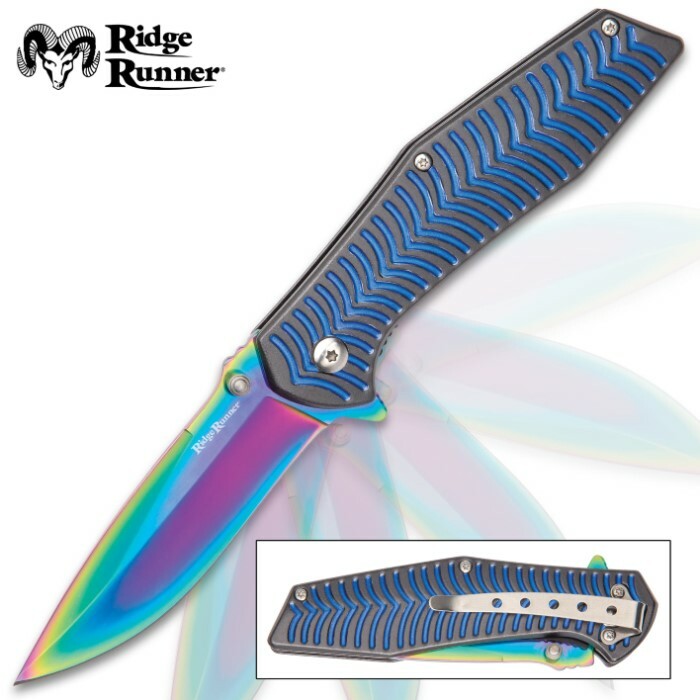 The razor-sharp 3 1/2” rainbow titanium oxide coated blade is complemented by the uniquely ridged blue aluminum two-toned handle. 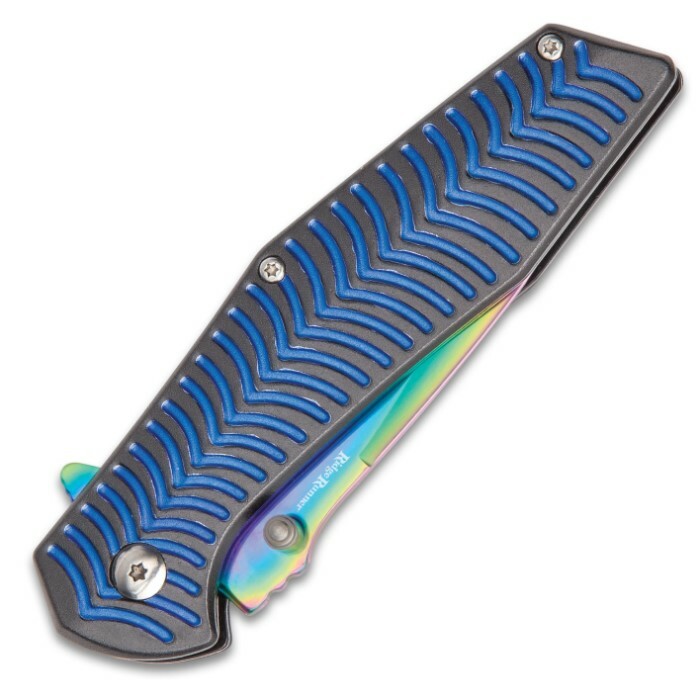 The assisted opening mechanism gives you quick access to the blade when you use the thumbstud and the sturdy steel pocket clip lets you carry this pocket knife with ease. You won’t find a pocket knife like this anywhere else! 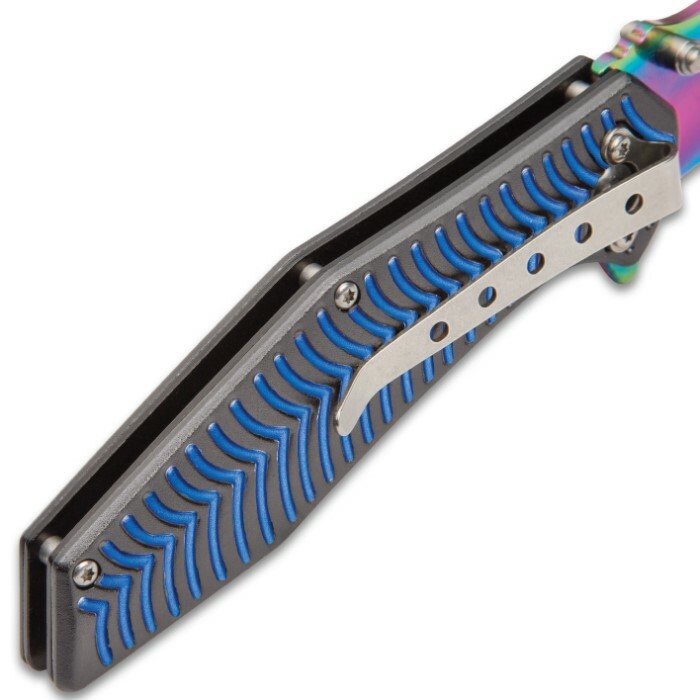 You really can't beat this blue two toned pocket knife. This knife is well built, comes sharp,and feels good in your hand,plus the price is really good.